When e cigarette users are looking for a stronger hit that produces more vapour than usual, many reviews may recommend looking into buying an e-cig mod. At e-cig review site, we don’t generally recommend that users buy a mod as it doesn’t necessarily serve to help smokers quit, unlike the standard electronic cigarette but the standard e cigarette used must be of high quality. There are many poor quality e cigs that just will not help. Because of the unnaturally huge vapour in-take into the lungs, Mods can increase the risk of health issues and are often used as a fashion accessory. We at ECR believe this cancels out the potential benefits that a quality small scale e-cigarette can provide for smokers. Nevertheless, we still aim to show you exactly what you should be looking for if you are interested in buying a mod. So, What Exactly Is A Vape Mod? In short, mods are larger vaping devices with more powerful batteries that also allow a degree of customisation. The atomisers within a mod can be manually constructed and prepared. The resistance within an atomiser is usually lower in order to create a greater vapour volume (sub ohm vaping). But because of this, the battery uses more power and the e-liquid drains far more quickly – expensive! The claimed advantage is that the vape mod can produce significantly greater vapour and can offer greater flavour. Whilst greater flavour may be a valid point, massive vapour does not appear to be an advantage for your average smoker looking to transition to vaping. Clearomizers use pre-built coil heads which screw onto the base of the tank which contains the e liquid. Generally they are clear glass/plastic so that allows the user to view the e liquid level. Once filled the liquid feeds into the coil head, which in turn produces the vapour. The simplest attachment next to the cartridge or cartomizer is the clearomizer, giving you a very simple yet clean powerful vape. Consider if: Simplicity is what you’re after. A quality small tank/clearomiser vape pen can produce significant vapour and give excellent flavour. RTA’s are similar to clearomizers, except that they are re-buildable. They have a chimney/shaft section which the juice feeds into which then goes to the wick and then onto the coil which has been built in order to produce the vapor. The advent of the RTA allows the user to ‘build their own’ atomizer. The biggest difference is that they generally require users to put parts together to create their vaping kit. Consider if: You like DIY and want something that you can modify – but only if you have extensive vaping knowledge. RDA/RBA’s feed the juice directly into the chamber, onto the wick, then into the coil. This mod doesn’t necessarily have a tank section to hold the e-liquid and can be used to drip e liquid directly to the coil. RDA’s can produce big vapour and flavour. RDA’s are the choice of many DIY cloud chasers. So Is A Mod Right For Me? As suggested previously, at the E-Cig Review Site we promote the use of quality electronic cigarettes as an alternative to smoking. Our aims are to introduce smokers into the possibility of an alternative, which is 95% less harmful than smoking cigarettes. Therefore aiding smokers in their efforts to eventually quit smoking altogether. For an electric cigarette, this is their prime function and they do it well. With a modifiable electronic cigarette, the goals and needs of the user change. Modified electronic cigarette users aim to vape with more flare. For Modders their main aim is generally to increase their levels of ‘throat-hit’ or ‘vape plumage’; this in turn changes the overall purpose for using modified e-cigarettes. 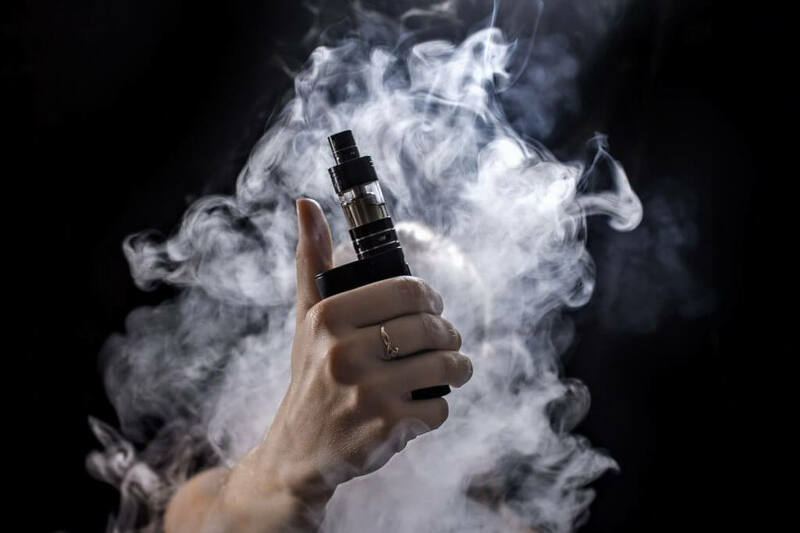 They have essentially moved away from the idea that electronic cigarettes are helpful for smokers looking to quit and have instead become more a fashion accessory or tool to produce huge clouds of vapour. We believe that this may take something away from the spirit of the electronic cigarette. It is also worth mentioning that the vape mod uses up significantly more e-liquid than traditional electronic cigarettes in order to produce these ‘exhaust fumes’. This consequently adds to the price of the habit, which could start escalating to that of tobacco smokers. A mod could be useful for an inquisitive user, who is looking to push the barriers of electronic cigarettes by creating huge vape plumes or by increasing the throat hit. Most users should find that a quality electronic cigarettes would satisfy the average person’s desire for throat hit and plumage. Using a quality smaller scale e cigarette or vape pen with higher VG content than usual will give a lot more vapour. In addition increasing the nicotine strength of the e-liquid will give a greater throat hit ie. without having to start using a vape mod. If you require more flavour or taste try a different e liquid brand or a different strength nicotine e liquid in your vape pen! Mods are also good for people who like to construct their own science experiments, people who like to build computers from scratch or generally people with an interest in engineering or DIY enthusiasts. I would advise anyone who isn’t particularly handy with these kinds of tasks to stay away from mods as they can work out quite costly. Another downside worth pointing out about mods is the quality control. Electronic cigarettes bought from established companies will provide a guarantee that may include safety. When tinkering with mods, users run the risk of products malfunctioning which could prove to be dangerous. As discussed, the culture behind vape mod electronic cigarettes can promote the continued use of vaping, more vapour, higher temperatures and lower resistances in an attempt to get massive vapour rather than the tiered stages of withdrawal standards e-cigarettes promote. Some Mod culture can seem to encourages others to blog, tweet and review on forums and social media about quantity. There is also often very little in the way of health fears or concerns that are discussed in some of these communities. Vape mods are a bit like a hobby which has moved away from the end game of quitting smoking. This can be dangerous for normal electronic cigarette users, as modded devices and normal devices are often clumped together under the same umbrella. The vaping community has a tough time with misinformation and poor reporting from the world’s media. Headlines of exploding pens and e-cigarettes being more dangerous than tobacco only serve to encourage tobacco use. This in turn affects everyone due to the strain tobacco use has on healthcare and public services. Modding, or using a vape mods began when users were dissatisfied with the earlier electronic cigarette products and rightly so as many early products were simply bad. Many early e cigs weren’t giving the user the ‘hit’ they needed nor the ‘smoke’ they were used to when smoking. Batteries lasted for an hour or so (circa 2008/9). Simply put they were not fit for purpose. Without the early modders perhaps e cig companies would not have had the commercial pressure to invest in, find and establish quality smaller scale devices. As the industry has progressed however there are some electronic cigarette companies who offer exceptional and simple e cig products that are reliable and that produce both significant levels of vapour and ‘hit’. Smokers can now easily transition which will ensure that e cigarettes will be the number one tool to help users cut down and eventually quit smoking. This is a considerable achievement for this device. The mod lives on alongside the quality electronic cigarette for those who wish to provide a bigger vape show and/or enjoy DIY vaping. However with the advent of newer vape mods now offering pre-built ready made atomizer options, removing the necessity for any DIY, those who have not as yet found a quality small scale e cigarette may be tempted to the larger scale vape mods. We hope that this review site helps vapers make the right choice on their journey to quitting. For further reading on sub ohm vaping, vape mods, huge clouds and nicotine absorption see our full article here.